Looking for a quick way to get to your hotel in Hong Kong? Then check out the Airport Express from the Hong Kong International Airport. This transportation system offers passengers free In-town check-in service in Hong Kong and Kowloon Stations and trains run every 10 minutes. Flying into Hong Kong International Airport can be an expensive and time-consuming venture. Overpriced taxis can take up to an hour to get to downtown Hong Kong and the shuttle buses even longer. There is now the additional option of taking the Airport Express, a bullet train that leaves from Hong Kong International Airport, and arrives at Hong Kong Station in only 20 minutes. 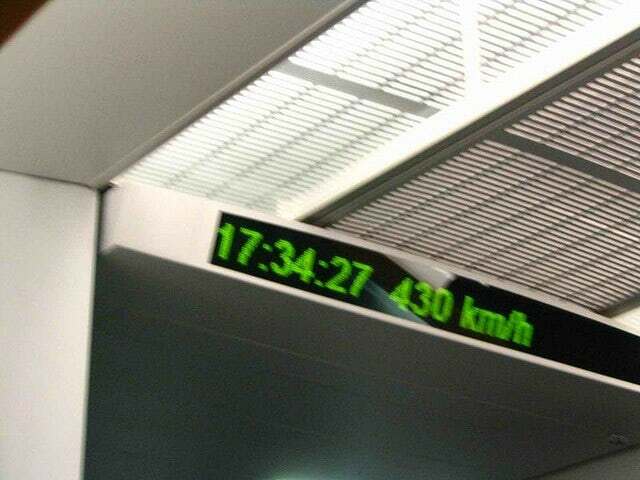 The Hong Kong International Airport Express can travel up to 130 kilometers per hour, getting you from the airport your hotel the fastest way possible. The price of the Airport Express is substantially higher than other transport options from the airport, but you most definitely get what you pay for. There is a complimentary shuttle bus that leaves from Hong Kong and Kowloon Staions which will drop you off in front of your hotel if you don't wish to take a taxi. If you like speed and efficiency, the Airport Express is the best option to get you from Hong Kong International Airport to your central Hong Kong hotel. To book your Airport Express tickets, or for more information, call us now.